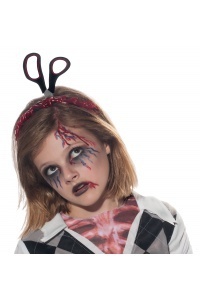 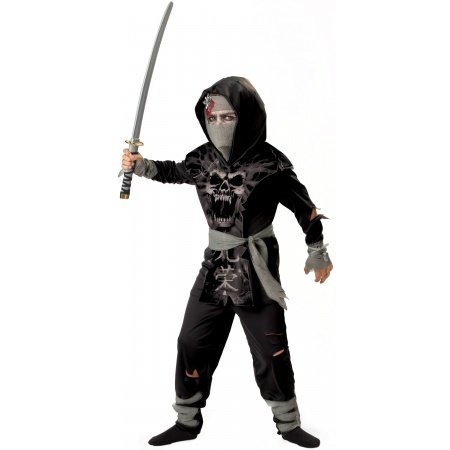 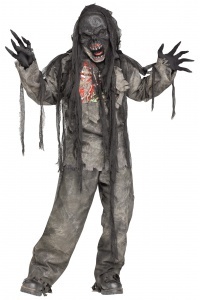 The Dark Zombie Ninja costume for kids includes a tabard shirt with attached hood, pants and belt tie. 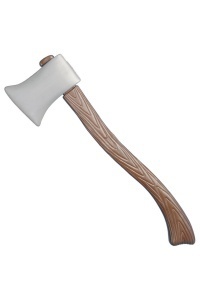 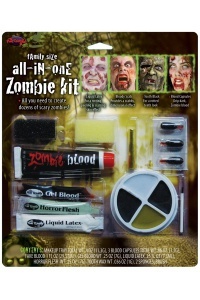 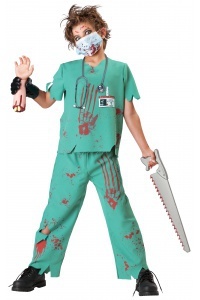 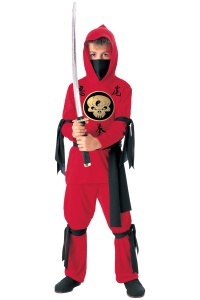 This scary Halloween costume for boys also includes a fabric mask with attached bloody ninja star. 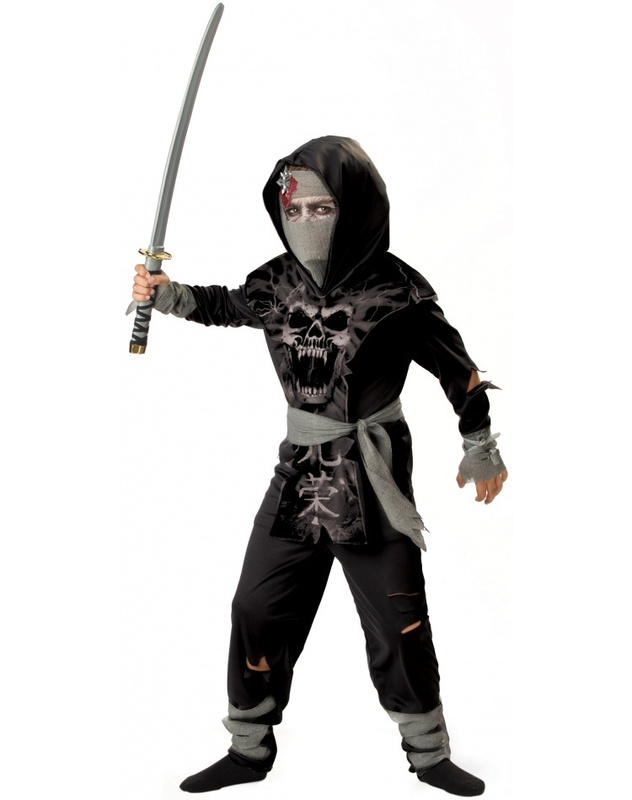 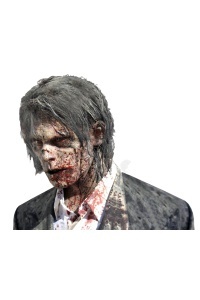 Our boys zombie ninja costume comes in child sizes Medium, Small, Large, X-Large. 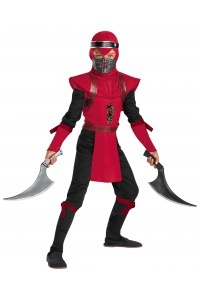 The toy ninja sword and footwear are not included with this children's zombie ninja warrior Halloween costume.